When you join the in game clan you receive access to a lot of benefits. Some of these benefits include. 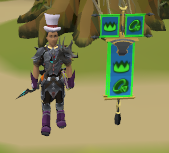 - Wearing our Capes and banners, you get to wear our clan cape and banner which also makes you eligible for various mini games we play. One mini game will play at our dice spot is called 'money tag' money tag is when two designated hosts trade as many people as the can wearing a clan cape or banner in 120 seconds. They will be trading you prizes and the hosts compete against each other to get the most prizes traded in 120 seconds. The host with the best record gets a cash prize at the end of each month. 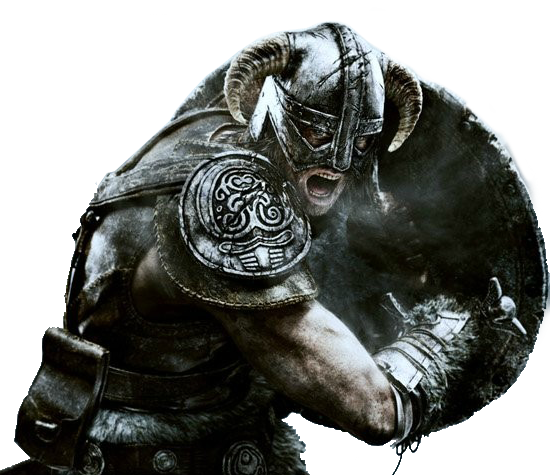 - Citadel, you will be able to collect resource caps at the clan citadel which provides fairly good experience and it let's you receive a ton of forum points for posting your citadel caps. +20 forum points every time you post a citadel resource cap, learn more about this in the resource rewards forum. - Community, you will be able to join our community in game chat with members, and play with your friends from RuneWish. 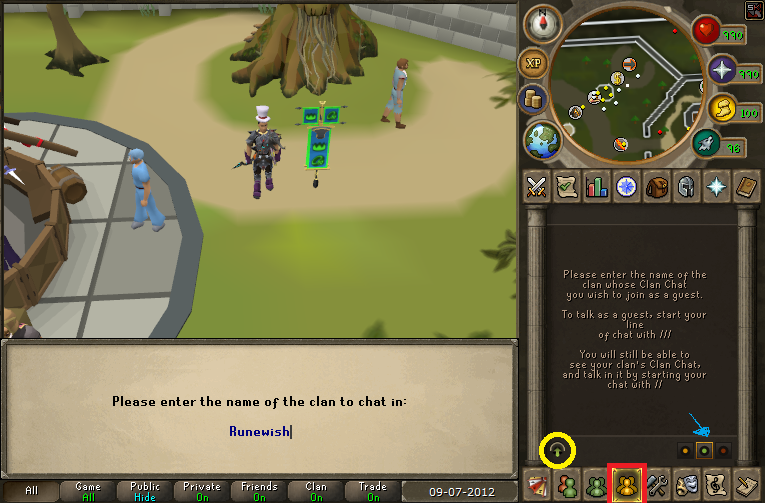 Go to the clan tab shown in red, then click on the green dot this is for guest chatting, then click the green arrow shown in the yellow circle then type RuneWish. You will be in our clan chat and able to talk with other members. Simply say you need an invite and a clan member will try to arrange a meeting place. The best place to get clan invites is our wagering spot World 6 Spirit Tree.